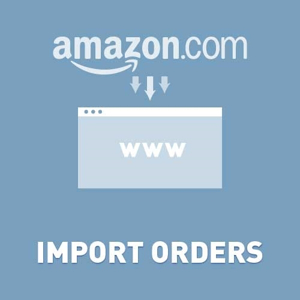 Amazon connector imports orders from Amazon into your store and send track numbers back to Amazon. You needn't add orders in your store manually. We added new feature - upload prices and stock quantities back to Amazon (from nop 3.90). If you need upload your products (feed) into Amazon you should use another our plugin NopFeedManager. 1. Plugin tries to find a product using ASIN, SKU, Manufacturer part number. If it can't find anything, plugin will create a new unpublished product automatically in your store. 2. Amazon hides customer's email. Plugin creates a new virtual customer for all orders from Amazon. 3. Plugin creates a customer's role "Amazon customers". The store's owner can easy get all records from his Amazon store. 4. If you need plugin can send tracking numbers back to Amazon. 5. If you need plugin can send prices and stock quantities back to Amazon. Not registered version is fully operational. It has only one limitation. Only 50 orders will be imported. Try before buying. + changed logic for uploading tracking numbers "the store's owner can create shipment and add tracking number after several times, plugin will wait tracking numbers 10 days"
- fixed important bug if your hosting provider uses the daylight saving. - fixed important bug for MSSQL Servers with different collates on nop database and temp database (plugin reads orders twice). - fixed important bug (if you deleted order plugin will not load it again). + added new feature, you can select what plugin will do if plugin can't find product in nop store. - fixed important bug (it was added in last release). Plugin can't send tracking number back to Amazon. + important performance optimization for stores with large numbers of orders. + changed internal logic for sending tracknumbers back to Amazon. + updated Amazon SDK library. Amazon developed new hostfix 2017-02-22. + revised code if plugin used new API. Plugin used API "2013-09-01". - fixed bug with not sending tracking numbers (wrong ServiceUrl). + tuning, plugin saved all tracking numbers in internal value, after it plugin sent to Amazon only necessary tracking numbers. Now plugin saves only necessary tracking numbers. + added support to select Amazon MWS Endpoint for each store.